Earth’s water is (almost) everywhere: above the Earth in the air and clouds, on the surface of the Earth in rivers, oceans, ice, plants, in living organisms, and inside the Earth in the top few miles of the ground. But World bank has recently warned about the scarcity of water. 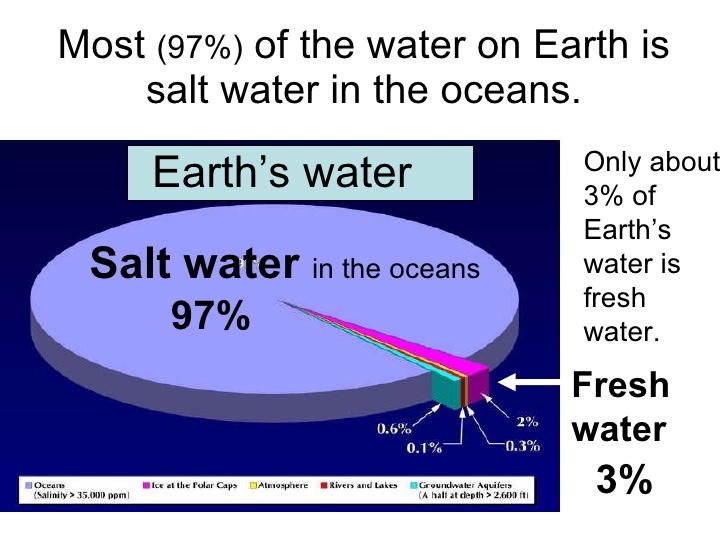 Only 3 % of the total water on the earth is fresh water and have to sustain the life of living humans, forest, insects and animals. Also Read : Looking for Adventure ? These 5 Cruise Ship may full-fill your Thirst ! 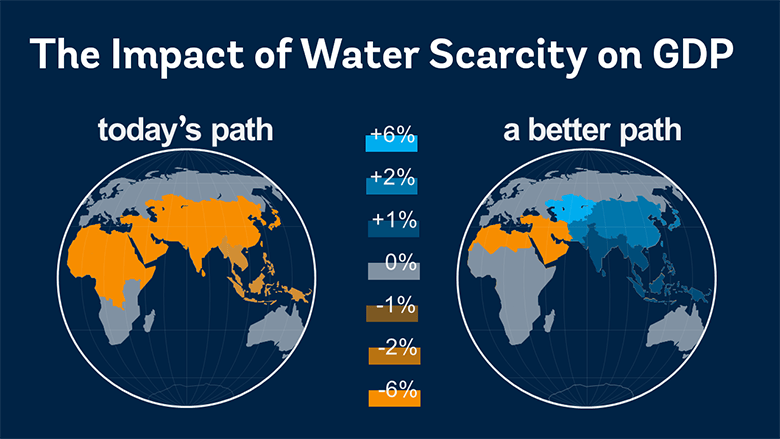 The impact of water scarcity on GDP by 2050, relative to a baseline scenario with no scarcity.